Put the kettle on and relax with these lovely Oxford mugs, ideal for enjoying a large cup of tea or coffee. 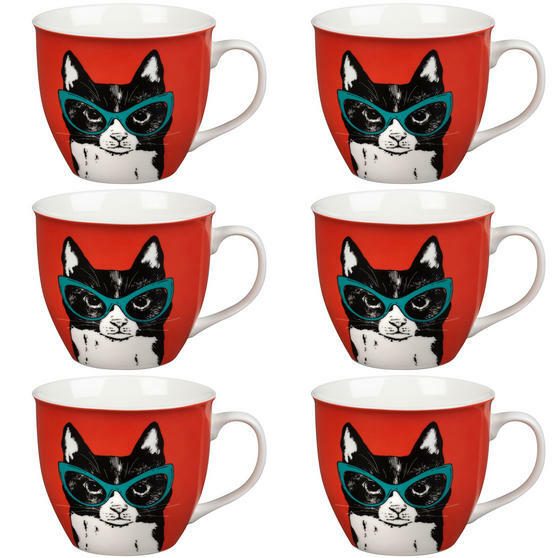 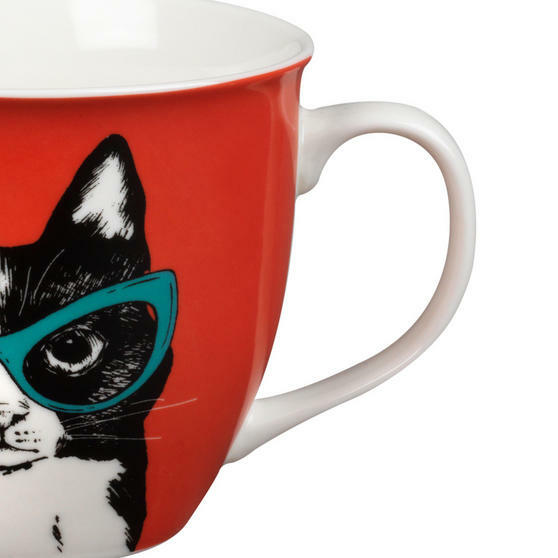 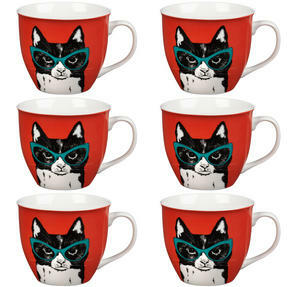 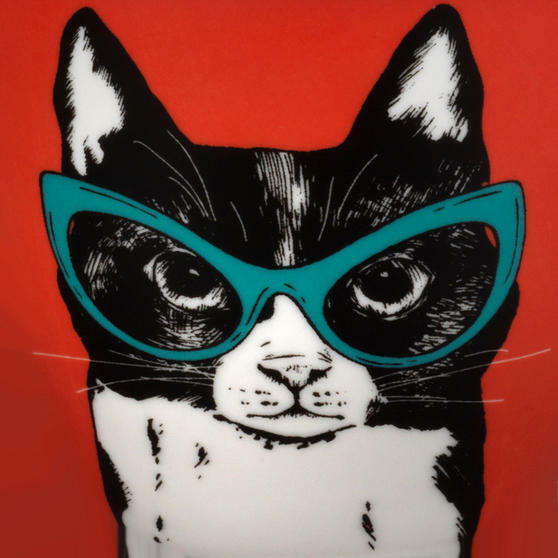 With a quirky pop art inspired image of a cat in glasses against a vibrant red backdrop on the exterior of the mugs, they makes a great gift for cat lovers. 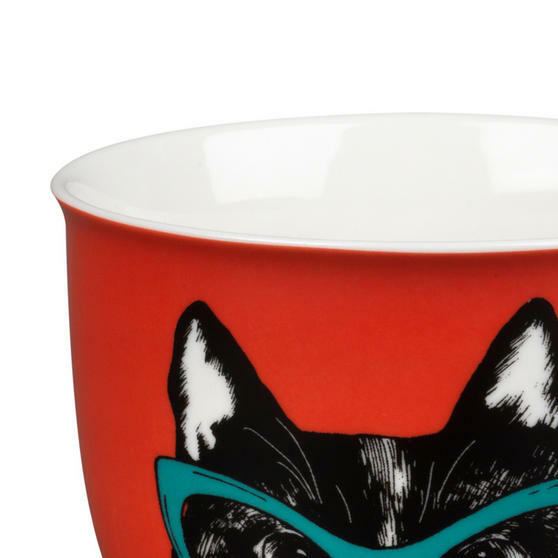 The mugs are dishwasher and microwave safe so they are both practical and easy to clean. 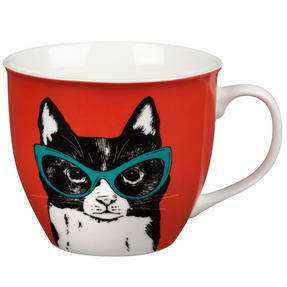 Crafted from bone china with a gloss finish these mugs are durable and long lasting even with everyday use, the perfect addition to any home. 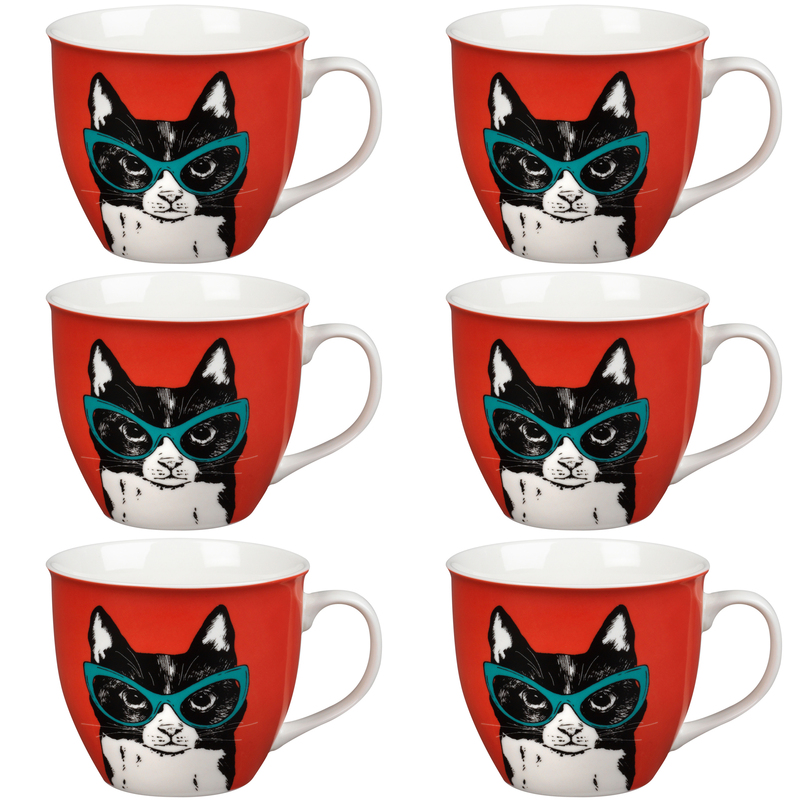 Cute and charming, these mugs have a quirky cat in glasses image on a red backdrop on the exterior, perfect for cat owners.